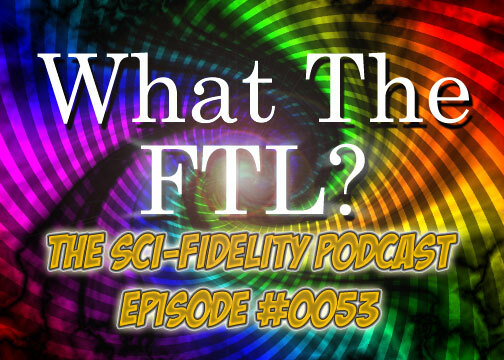 The Sci-Fidelity Podcast is proud to present this comparison of select FTL (Faster Than Light) craft from the sci-fi universe inspired by our discussion in episode 53 - "What the FTL?" In compiling the information for our episode about FTL travel we calculated the travel speeds of the FTL craft from several popular sci-fi franchises and were pleasantly surprised by just how fast and slow some of our favorite ships were. Being the giving souls that we are, we decided to compile that data visually into this infogrpahic that we are proud to present to you, our listeners. Let the FTL drag race commence!